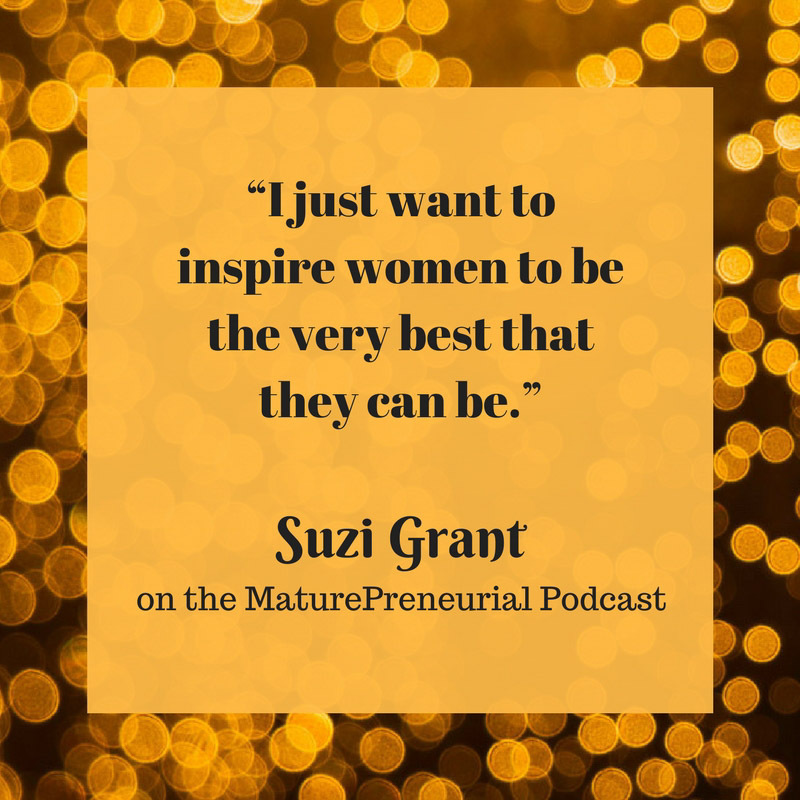 Suzi Grant, photographer, nutritionist, author, and blogger, shares her experiences with others so they can grab life by the balls and enjoy it as she does. 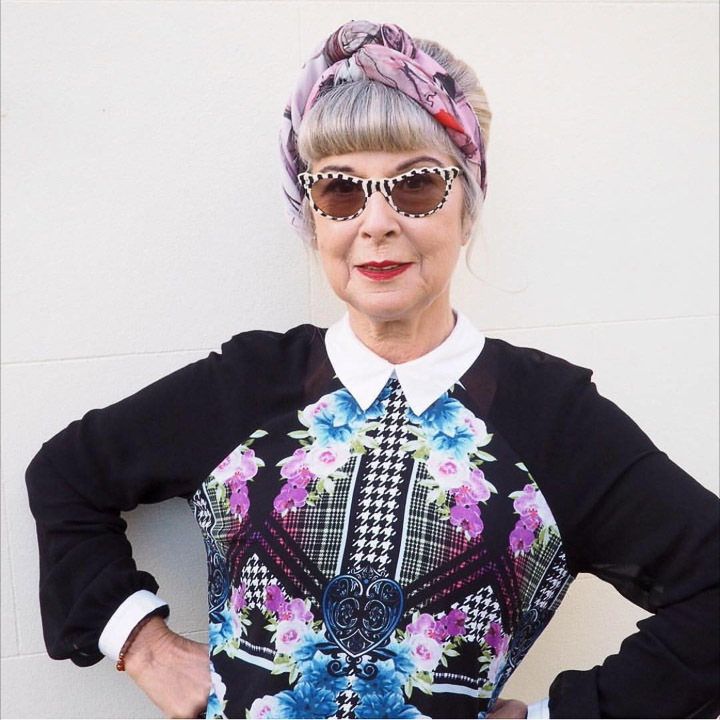 Suzi has a penchant for vintage fashion, in particular, and frequently blogs about her many travels, including regular trips to Australia. She is a talented photographer who takes all her own photos. She is also an experienced model and has been the subject of many fashion shoots. She has been featured by Instagram and by The New York Times. For most of her working life, Suzi was a chain smoking, hard drinking reporter/presenter in television and radio. TVam, Sky News, and BBC Radio 4 are just three of the many companies she worked with. But when her mother died of a heart attack at the age of 63, Suzi took stock of her own health and decided to train as a nutritionist. 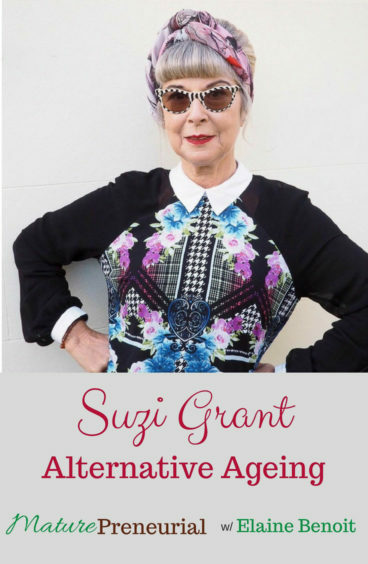 Apart from treating hundreds of patients over the last 15 years, Suzi has also written three books, including Alternative Ageing; completed an M.A. Degree in The Body: Eastern/Western Perspectives; and continues to write, broadcast and speak at conferences as an ageing expert. Suzi lives in Brighton by the sea, England with her fur baby, Jack, a naughty poodle/jack russell cross. She love music, festivals, dressing up, shopping, writing, good food, travel, and photography. She is convinced that her blog, her social media outreach, and all of her activities above will help to prevent her brain from deteriorating. Suzi used to have bright red/orange hair! Because it’s become fashionable to be gray and over 60, she has gone back to her roots. She no longer feel invisible, as she did at 50. What is your favorite part about broadcasting? When you were in the radio broadcasting, was it a long day also? And they are all on nutrition? What is the most successful idea you implemented for your business? What was the least successful idea and what did you do to change tactics to fix it? Did you come across any resistance from friends and family when you started it? Thanks so much Laura!! You are a good blogger, never doubt that!